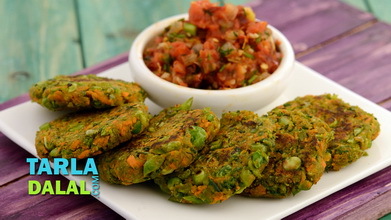 Masala Bharwan Karela is a Punjabi delicacy that will make even kids fall in love with karela. 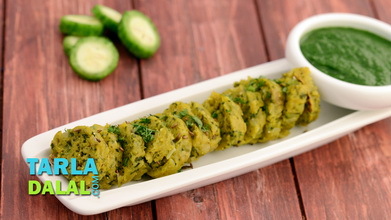 Here, the karela is first cleaned, slit, coated with salt and allowed to marinate, to eliminate some of the bitterness and to tenderise the vegetable. 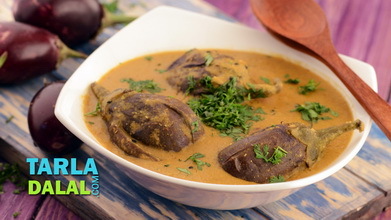 It is then stuffed with a mouth-watering masala that has rich spicy notes accompanied by the tang of tomatoes and the zing of ginger and onions. 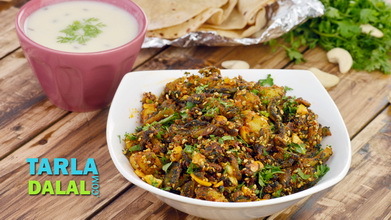 It is important to tie the karela with a thread before deep-frying it, to avoid the masala from coming out. 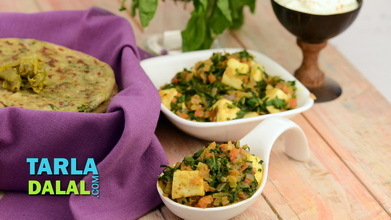 Done the right way, the Masala Bharwan Karela is a dish that will raise your reputation for brilliant cooking! Peel the bitter gourd, slit each bitter gourd lengthwise and scoop out the insides carefully creating a hollow in the centre. Apply a little salt to the inside and outside of the bitter gourd and keep aside for 10 to 15 minutes. 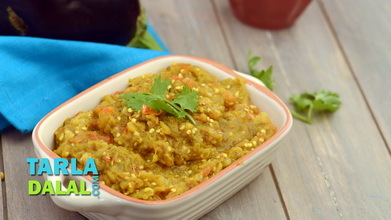 Wash the bitter gourd and pat it dry using a kitchen towel. Keep aside. 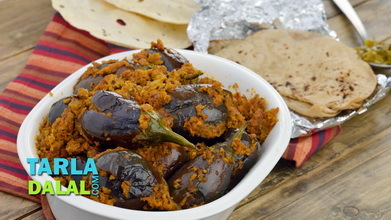 Heat the mustard oil in a broad non-stick pan, add the cumin seeds and fennel seeds. When the seeds crackle, add the onion paste and sauté on a medium flame for 3 minutes. 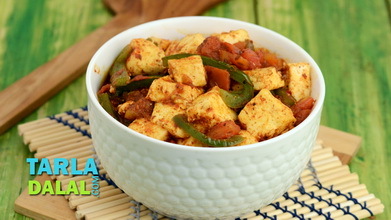 Add the tomatoes, ginger, green chilli paste, turmeric powder, dried mango powder, garam masala, salt and coriander, mix well and cook on a medium flame for 2 minutes, while stirring occasionally. 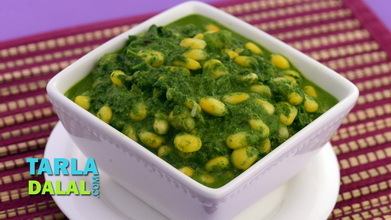 Fill a portion of the prepared mixture into each slit bitter gourd and tie with a thread all over. 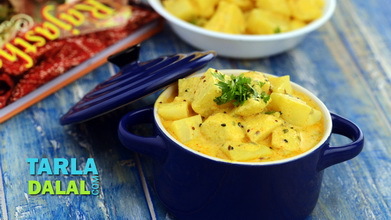 Heat the oil in a deep non-stick pan, add the tied bitter gourd two at a time and cook on a medium flame till they turn golden brown in colour from all the sides. Drain on an absorbent paper. Cool slightly, cut the thread and cut each bitter gourd into 5 pieces.